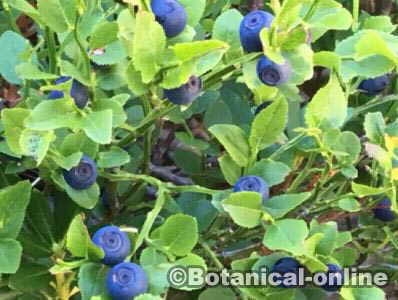 Blueberries (Vaccinium spp.) are fruits of the forest with a very low content of sugars and very high in antioxidants and flavonoids, among which anthocyanins stand out. Since ancient times, especially by Native American tribes, blueberries have been used for the prevention and treatment of diseases of the urinary tract. In Europe there are references to its use by the Greeks and Romans, although it is in the sixteenth century when it appears in the first treatises on herbal medicine, mainly for the treatment of kidney stones. Comparative studies have shown that the juice of this plant has antibacterial properties that make it very suitable in the prevention of cystitis. Arbutin and hydroquinone are involved in this property. The daily intake of half a cup of this juice is a good preventive, not only of risk of inflammation of the urinary bladder but also of kidney infections, prostate, urethra, and the entire urinary tract in general. There are red, purple or blue blueberries. However, it was found that tin some cases this juice was ineffective because there are people who are not able to eliminate the bacteria or because they are infected with bacteria that are not affected by blueberry. To improve the health of the kidneys should also be followed a proper diet, enhancing the most beneficial foods and avoiding those that would be harmful to the kidneys. One study found that older people who took a blueberry extract had better cognitive abilities than people who did not. 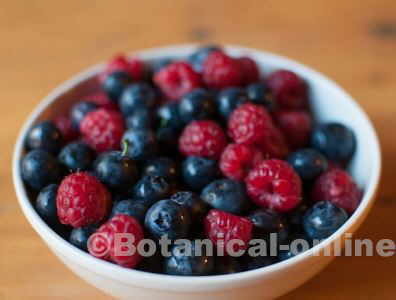 This suggests that a diet rich in antioxidant fruits such as blueberries helps to slow the senility of the elderly. 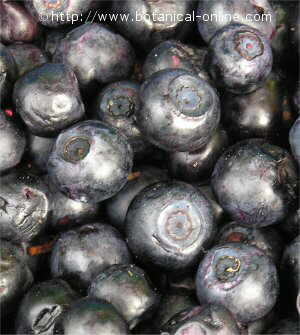 Blueberry juice is very useful in the prevention or dissolution of kidney stones. It seems to acidify the urine, this juice helps remove calcium oxalates, which prevents the formation of kidney stones or helps in dissolving the gravel. It is also very useful for nephritis. During the Second World War, the British aviation pilots accidentally discovered that their sight improved during their night raids if they ate blue berry jam regularly. They also found that their view adapted more easily when going from brightly lit areas to darker areas. Subsequently, there have been numerous studies that have shown the importance of these fruits are in sight conservation and prevention of many eye diseases. Blueberries are rich in anthocyanins flavonoids, pigments found in some fruits ranging from red to blue or purple as blueberries, raspberries, cherries, purple cauliflower, plums and grapes. These components have antioxidant properties that help in repairing eye damage due to the action of free radicals. The main task of these flavonoids focus on reparing the nerve cells in the retina, on increasing blood flow, which brings more nutrients to the eye, on the protection of collagen, and conservation and faster production of rhodopsin, a protein of the rods of the retina responsible for detecting light. Night blindness: Night blindness is characterized by poor eye adaptation to low light conditions so the patient sees little at night or in dim light for its wealthanthocyanosides flavonoids antioxidants and is ideal for the eye is able to capture the low light (capsules of this plant from pharmacies or herbalists can be taken in doses according to package indications). These same properties are generally well suited to those with vision problems to adapt to different light conditions. Very interesting for drivers who have to cross open areas and areas with many tunnels, because the fruit will be seen more quickly when moving from one area to another. In order to strengthen the vision is adequate an infusion of ¾ of a teaspoon of dried leaves per cup of water. Take two cups a day between the two main meals. The liquid resulting from this infusion may be suitable for washing the eyes, which will enhance the vision. An external relief for this condition is to make a decoction of ½ teaspoon of dried leaves per cup of water for 5 minutes. When cool, wet compresses and use them for eyewash. Cataracts: This treatment can help stop the cataracts, when administered along with vitamin E. The antioxidant power of both stops the degeneration of the lens and helps cataract patients. This treatment is suitable for diabetic retinopathy. Blueberry promotes blood circulation. 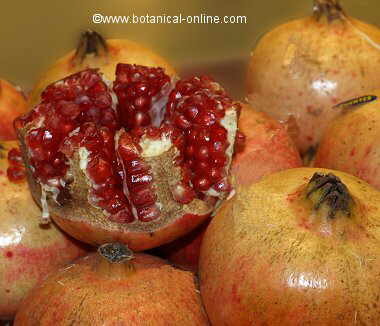 It has vasodilator properties, antiplatelet agents, prevents bleeding and strengthens the capillaries. 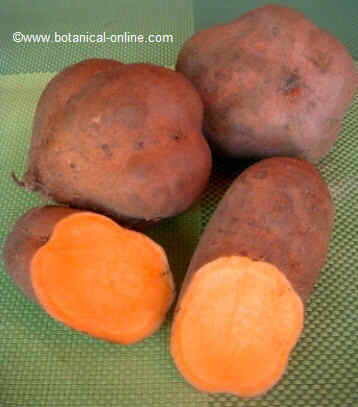 This, coupled with its richness in vitamin P, makes a good ally for the treatment of diseases related to the circulatory system. Blueberries have astringent and antivomitive properties due to their content in gallic acid and hydroquinone. 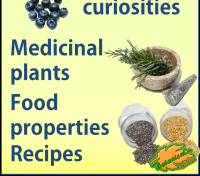 They are also very rich in antispasmodic components (potassium, rutin, quercetin, caffeic acid, geraniol, etc) and contain more than 30 anti-inflammatory principles. Caryophyllene and beta-carotene give them gastroprotective properties. Diarrhea: Its astringent properties are able to stop the excess of stool. One of the more effective remedies to combat difficult diarrhea is a “blueberry tincture”. Macerate 40 g of dried fruit in 360 g of alcohol at 70 º for 10 days. Once the tincture is ready, take about 25 drops mixed in a glass of water, twice per day, until the diarrhea stops. This treatment is very effective for infectious dysentery or diarrhea with traces of blood. Bad digestions: For regular indigestion or difficult digestion with the presence of gas or heartburn, their gastroprotective tonic properties and are well suited to aid digestion and eliminate bloating. Inflammatory bowel disease: The presence of microorganisms in the gut is responsible for the development of fermentation and putrefaction in the intestine that are responsible for numerous inflammatory bowel disease. The antiinflammatory and bacteriostatic properties of this plant helps reduce the problem. (Decoction of 30 gr of fruits per liter of water. Take three cups daily. Gastroenteritis: The same preparation is suitable for the treatment of gastroenteritis. This preparation helps to decrease diarrhea and intestinal spasms, and reduces vomiting. 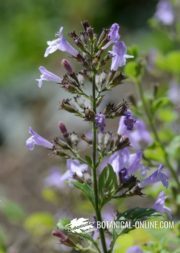 Pancreatitis: Its astringent properties are able to stop diarrhea . 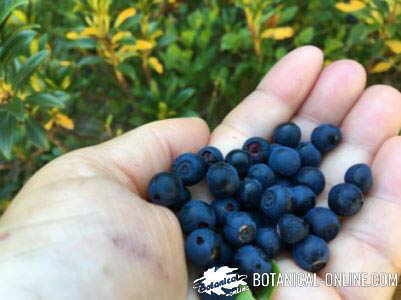 Eat raw blueberries or make a ” tincture of blueberry fruits: (maceration of 40 grams of dry blueberry fruits in 360 g of alcohol at 70 ° for 10 days. take about 25 drops mixed in a glass of water a few times each day until diarrhea is resolved. 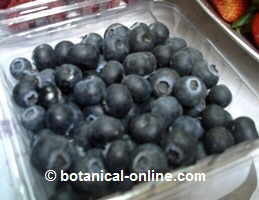 Bilberry preparations are a good solution in the early stages of diabetes. 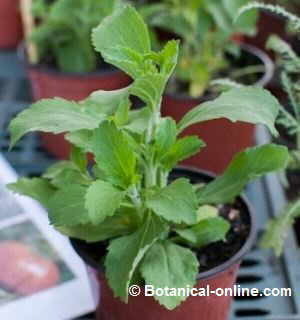 Its use is particularly indicated in the sugar problems that occur as people get older. 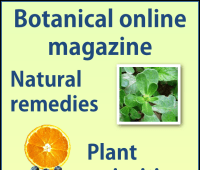 Eczema: This treatment is very appropriate to remedy the eczema. The fruits should be harvested when they are ripe. The leaves are collected in summer. They should be dried in the sun and stored in a container or bag, free of dust, with no moisture or direct sunlight. The fruits, when not eaten fresh, should also be dried in the sun and stored in a closed container, dry and airtight. 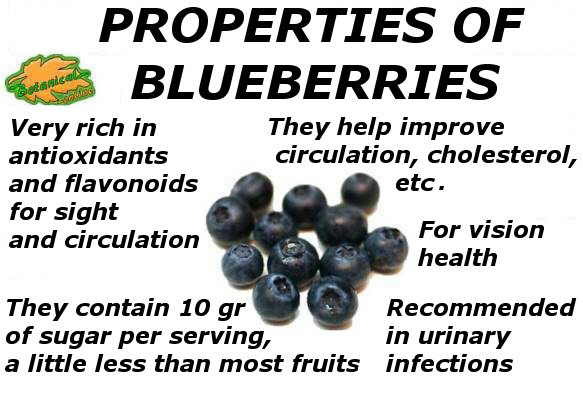 Blueberry used in indicated therapeutic doses has no side effects or toxicity. 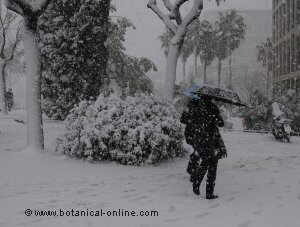 However, we should avoid prolonged use of preparations with leaves. They contain arbutin and hydroquinone, two principles which -if the dose is exceeded or the treatment is too long-, are toxic and can lead to weight loss problems and serious alterations. The ingested dose of drugs through the leaves should not exceed 5 or 10 grams per liter. Their use should not be prolonged excessively and should be alternated with other plants.